Janet McLean: Hard power but soft law: second thoughts about the third source? Does government have the power of an ordinary person, to do that which is not prohibited? Two recent cases, one from UK and one from NZ, raise this question and suggest it needs re-examining. In the UK, statute deals with the requirements to be satisfied by international students applying to enter or remain under its migrant points system. Rules made under the statute must be laid before Parliament. Government “guidance” requires that student migrants must be sponsored by an educational institution holding a sponsor’s licence and sets out the requirements that educational institutions must satisfy in order to qualify for such a licence. The “guidance” is not laid before Parliament, and is frequently changed without notice. An institution which loses its licence, and hence all of its international students and most of its business, attempts unsuccessfully to challenge the guidance. In the UK Supreme Court, Lord Sumption (with whom Lords Hope, Clarke and Reed agreed) suggested that the “guidance”, though mandatory in part, had no necessary statutory or prerogative underpinning . The publication of guidance does not require statutory authority and can be an exercise of the residual freedom government has to do anything an ordinary person can do which is not prohibited by law (R (on the application of New London College Ltd) v Secretary of State for the Home Department  UKSC 51. Lord Carnwath disagreed, denying the existence of any authority for such a proposition and finding the impugned powers to be wholly derived from statute. Highly controversial emergency powers are granted by an Act of Parliament (Canterbury Earthquake Recovery Act 2011) to assist in New Zealand’s recovery from the Canterbury Earthquake. These allow for the formulation of a recovery plan after formal consultation and hearings and the suspension of the usual planning laws after a notification procedure. The Minister issues “information” about different zones to which different compensation criteria apply without invoking the procedures required by the statute. This is treated by the New Zealand Court of Appeal (Ministry for Canterbury Earthquake Recovery v Fowler Investments  NZCA 588 (Quake Outcasts case)) as an exercise of the residual power government has to do anything that is not prohibited by law. The “information” that a building is in a Red Zone and that a particular compensation package will apply is treated as not affecting the rights and liberties of property owners. Being in the Red Zone does not of itself prohibit building or the granting of a building consent, prohibit residents from living there or require the demolition or repair of houses (the Court of Appeal affirmed here the High Court ruling in O’Loughlin v Tower Insurance  NZHC 670). And yet, the Court of Appeal accepted that the Crown was pursuing a clearance programme to remove all buildings and improvements from Red Zone land, followed by the removal of infrastructure. The practical effect of the creation of the Red Zone and the terms of the compensation offer has been the exit of most residents from the area “leaving those who remain in a very difficult and unattractive position” . In both cases the guidance has important practical consequences for the claimants but is treated as having no legal effect on the claimants’ rights and liberties. Both cases raise again the controversial question of the extent to which the government enjoys residual, “third source”, or ordinary law power, and if so what should be the appropriate legal controls on the scope and exercise of such power. And both raise the issue of whether we need to rethink judicial review doctrines in the light of new techniques of governance (see recently K Yeung, “Better Regulation, Administrative Sanctions and Constitutional Values” (2013) 33 Legal Studies 312-339). These cases are examples of the informal “soft law” interventions favoured by the “better regulation” movement. In regulatory terms the New London College case concerns the co-option of educational institutions as private regulators engaged in the implementation of government policy. It is private institutions which must verify the seriousness of students’ study plans, their financial resources and their ability to follow their chosen course – with the incentive that their licence depends on it. The guidance allows for different conditions to be placed on different institutions depending on whether they have “Highly Trusted” Status. The Quake Outcasts case also involves the use of “soft power” – in the form of financial incentives rather than formal zoning laws. It leaves matters to be determined by individualised regulatory negotiations. These techniques are only “soft” in relation to the instruments they use rather than in their practical effects. Lord Sumption in New London College admits that the formal law is not a good fit with the regulatory framework: “the Immigration Act 1971 has not aged well” . He helpfully raises the question of whether the idea that the government has the same residual powers as a natural person “is really apt in the case of public or governmental action, as opposed to purely managerial acts of a kind that any natural person could do, such as making contracts, acquiring or disposing of property, hiring and firing staff and the like” . This distinction between “ordinary” and “governmental” powers sounds promising – especially given that judges tend instinctively to resist the imposition of public law controls on the “ordinary law of contract”. Such an approach would leave “ordinary contract law” relatively “untouched”. Even then the line may sometimes be hard to draw – would the acquisition of property in the Red Zone be more governmental (in pursuit of a government clearance programme) or managerial (a simple purchase)? He did not need to resolve the question in this case because he thought that there would be ancillary power to issue the guidance under the statute in any event. The appellants in New College were challenging the existence of the power to issue guidance. They do not appear to have addressed the issue of whether the manner of the exercise of the power could be the subject of judicial review. A challenge to the way in which the power had been exercised may have been more useful in assisting them to recover their sponsor licence or obtain Highly Trusted Status. The New Zealand Court of Appeal did allow for the possibility that the exercise of residual freedom could be reviewable on reasonableness or rationality grounds  but it did not need to decide the point. (It left intact the declaratory relief awarded to the claimants in the High Court given on another basis.) The New Zealand Court of Appeal’s approach is surely the correct one. The availability of judicial review should not depend on the regulatory techniques chosen by governments in order to pursue their policies. These issues are unlikely to go away any time soon. The regulatory theorists and the black letter lawyers need to engage in a better dialogue if we are to have a chance to resolve them. 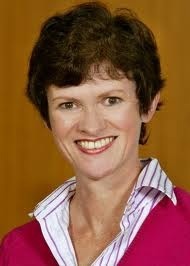 Janet McLean is a Professor of Law at the University of Auckland. (Suggested citation: J. McLean, ‘Hard power but soft law: second thoughts about the third source?’ U.K. Const. L. Blog (27th February 2014) (available at https://ukconstitutionallaw.org/). This entry was posted on February 27, 2014 by Constitutional Law Group in Comparative law, Judicial review and tagged guidance, state action, state authority.